In a medium bowl, microwave the chocolate chips and coconut oil until just melted. Pour about a teaspoon of the melted chocolate into each ice cube mold.... Pumpkin Cheesecake Bites are bite-sized, creamy and can be made ahead. They an easy alternative to pumpkin pie, and the only tool you need is a food processor. They an easy alternative to pumpkin pie, and the only tool you need is a food processor. 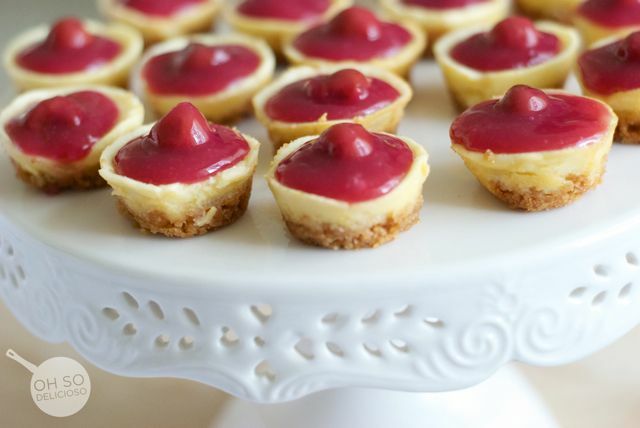 Mini cheesecake bites recipe. Learn how to cook great Mini cheesecake bites . Crecipe.com deliver fine selection of quality Mini cheesecake bites recipes equipped with ratings, reviews and mixing tips. 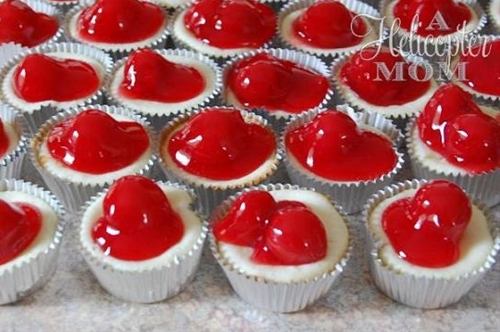 how to make a forums page on weebly I make these mini cheesecakes every year for my sons, they love them. So easy to make. Thank you so much for the recipe. I have used the premade graham cracker crumbs before and they turned out fine but I like making own crust. Cheesecake is always a hit with everyone so I decided to turn my regular cheesecake in to mini bite-size cheesecake balls. These mini cheesecake bites just melt in your mouth. They�re easy to make � how to play mind games with a gemini man Pour the cheesecake mixture over the biscuit base. Bake for 40-45 minutes or until just set. Turn oven off. Leave the cheesecake in the oven with the door slightly ajar for 1 hour or until cooled. Place in the fridge for 4 hours to chill. 10/06/2012�� This mini version is just an ordinary cheesecake made on a small scale. Organize. Organize the silicon liners into the muffin tins. Organize. Organize the silicon liners into the muffin tins. Cheesecake bites are nothing more than little chocolate-covered morsels of creamy cheesecake. No special equipment and no water bath needed, since chocolate covers any cracks. SO good! No special equipment and no water bath needed, since chocolate covers any cracks. Easy Peanut Butter Cheesecake Bites Recipe Cheesecake is such a crowd favorite and this recipe is even better with peanut butter. Cheesecake goes to an entirely new level when you add creamy peanut butter and drizzle even more on top!